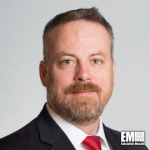 Ryan McDermott, formerly principal director of manufacturing and industrial base policy at the Defense Department, has joined the Professional Services Council as vice president for defense and intelligence. He will manage the council’s defense and intelligence council as well as lead advocacy of legislative proposals that support contractors focused on both sectors, PSC said Thursday. David Berteau, president and CEO of PSC, said he believes McDermott’s professional background, knowledge and insights will aid member companies that serve the defense and intelligence market. McDermott previously worked at the U.S. Army as special assistant to the service branch’s assistant secretary for financial management and comptroller. His private sector career includes time as senior financial analyst at Booz Allen Hamilton, associate for corporate advisory on mergers and acquisition at Evercore Partners, associate for the investment banking division of Barclays Investment Bank and summer associate for Lehman Brothers‘ equity capital markets. He also served as captain of the Army’s 3rd Infantry Division between 2000 and 2006. McDermott is a recipient of the Bronze Star Medal, Army Commendation Medal with Valor Device, Combat Infantryman Badge, Air Assault Badge, Parachutist Badge and the Ranger Tab.